Monday night was the last presidential debate before election Day. It was in Boca Raton, FL and just as I had the opportunity to be in Denver, CO for the first debate, I traveled to Boca Raton to be with the people of Florida. In both states there was a large population of Hispanics watching the debates. They, like most Americans, are interested in an America with a better economy and more employment. The question that we still have is why hasn't a single Hispanic journalist been asked to moderate any of these debates at the national level? It was, in my opinion, a poor choice in not considering that. A few weeks ago, Jorge Ramos and Maria Elena Salinas had a couple of “Encuentros” (encounters) on the Univision Spanish Channel with Gov. Mitt Romney and President Obama. They said: “There were not any minority journalists, not Hispanic or black invited to moderate any of these debates for the presidency.” Therefore, Univision invited the two candidates to sit with them. One at a time. Gov. Romney first and President Obama a day after. For those of you who have criticized Spanish News and Spanish media, and think they are biased and always coming from the left, let me tell you that Jorge and Maria Elena are some of the most professional journalists I have ever met in my life (and I know many of the most important journalists in the country), and they remained impartial. I deeply admire Jorge Ramos and Maria Elena as well as many others in a list of outstanding Hispanic journalists, among those: Teresa Rodriguez, Jose Diaz Balart, Enrique Teutelo, Gustavo Monsante, Maria Antonieta Collins, Fernando Pizarro, Luis Megid, Ana Maria Vargas, Norma Garcia, Geraldo Rivera, Pedro Rojas, and other Latinos. For more than twenty years, I have followed Jorge Ramos' trajectory and have read most of his books. He is bright and sharp, and he cares for people. He has interviewed me several times and has invited me to participate at several panels and debates in his national recognized TV program "Al Punto". Jorge, came from Mexico City with a career already in journalism and began his American dream here in the USA, and like me, he has become an American by naturalization because he loves this country. In addition to that, Jorge has won eight Emmy Awards and the Maria Moors Cabot Award for excellence in journalism. He has been the anchorman for Univision News since 1986 and has appeared on NBC's Today, CNN's Talk Back Live, ABC's Nightline, CBS's Early Show, and Fox News's The O'Reilly Factor, among others. He is the bestselling author of The Latino Wave: How Hispanics Are Transforming Politics in America (Ola Latina, La : Cómo los hispanos elegirán al próximo presidente de los Estados Unidos), No Borders: A Journalist's Search for Home (Atravesando Fronteras), Dying to Cross: The Worst Immigrant Tragedy in American History, The Other Face of America: Chronicles of the Immigrants Shaping Our Future (La otra cara de América), Lo que vi, A la caza del león,Morir en el intento,Detrás de la máscara,El regalo del tiempo: Cartas a mis hijos, A Country For all: An Immigrant Manifesto, My Life. Jorge Ramos has interviewed multiple world leaders including Fidel Castro, Bill Clinton, George W. Bush, Evo Morales, Hugo Chávez, Terry Porter, Rafael Correa, Fernando Ferrer, Barack Obama, Joe Biden and many other people like Mitt Romney and Andrew Breitbart. So, regardless of whether we agree with Jorge Ramos on all issues or not, he is a remarkable and outstanding journalist, and in my opinion and the opinion of others, one of the top journalists in the United States of America. I may not agree with Jorge on everything, but I respect him. His love for immigrants in this country is evident to me as he has seen firsthand the pain of many. Regardless of what your position is on this issue of immigration, one thing is clear: Barack Obama has not done anything about it. He offered his Deferred Action as an act of desperation to divert attention from his failed administration's policies. He told Jorge Ramos in an earlier interview a few years ago that he could not do that, and then back in June 2012 he gave false hopes to millions of immigrants with a "band aid" and not a realistic solution. As I asked: Why go around Congress and not make these decisions with the representatives that the American people have chosen? If the President had the power to do such a thing why he did he wait until a few months before elections. Jorge Ramos held the President accountable to his promises and on National TV directly told Jorge before he was elected that during the first 100 days in office, he would bring immigration reform to the house. “You promised that, and a promise is a promise,” Ramos told Obama. “And with all due respect, you didn’t keep that promise.” Obama responded with an excuse of the separation of powers in the federal government. The only mainstream media reporter who has confronted and grilled the President with strong questions has been Jorge Ramos. With a brilliant, sharp and honest mind, Jorge was direct and clear in his questions. I wish he had been invited to moderate one of the national presidential debates. “As you remind me, my biggest failure is that we haven’t gotten comprehensive immigration reform done,” he said. “So we’re going to be continuing to work on that. But it’s not for lack of trying or desire.” What?! The reason this situation has not been resolved during the last four years is because the President really never looked at the issue seriously. He used the issue just like he is doing it now: to court voters. President Obama answered that he does not want to see these issues becoming "political circles or distractions" from the important business. The president did not recognize his many broken promises and openly disengaged with the audience on these issues. The grilling on immigration was tough, but the one on Fast and Furious, and also the drug wars, was even tougher. 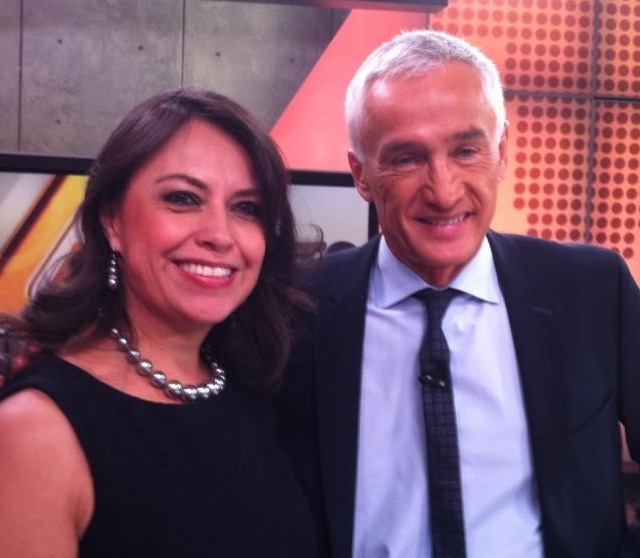 Jorge Ramos and Maria Elena Salinas knew more than Obama expected them to know on these subjects. Well, needless to say, I wish Jorge Ramos could have been the moderator of one of the national debates so every American could have seen more confrontation on the issues. We do not want four more years of the same and the American people deserve to know their candidates well.